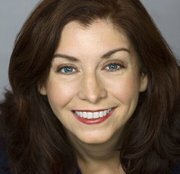 A graduate of the American Musical and Dramatic Academy, Susan has been working since the age of 4 performing in Choirs, Bands and Musical Theater. She has performed at the Kennedy Center and many other stages around the country with leading roles such as Eliza in “My Fair Lady,” to Ms. Hannigan in “Annie.” Other works include “Cuckoos Nest,” “Nunsense I & II,” “Hello Dolly,” “Annie Get Your Gun,” “1776,” “Fiddler,” “Gypsy,” “Guys and Dolls,” and many more. Susan Bell teaches singing from beginner to advanced in NEW YORK CITY and via SKYPE – Anywhere in the world! Children are welcome too!. She brings years of training and experience to focus on YOUR personal needs. Develop a method of singing that allows you to get to the next level – Sing confidently (work through stage fright and performance anxiety), achieve a wider vocal range, broaden your pallette of singing styles – and land that next big audition!